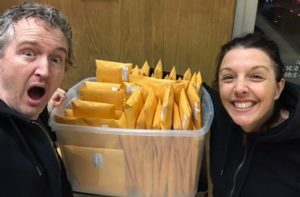 For every shirt we gave away, we also gave $5 to the Fred Hutch Cancer Research Center’s fundraiser in memory of our friend Beth Caldwell, who died last month because of metastatic breast cancer. That’s $330 (so far) toward funding promising research to find a cure for the disease that took the life of our friend, and which ends the lives of 113 people every single day. 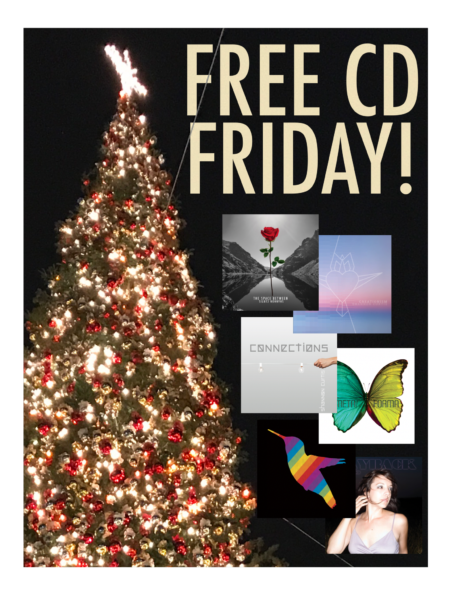 What is Free CD Friday? Well, we want to give you free music. 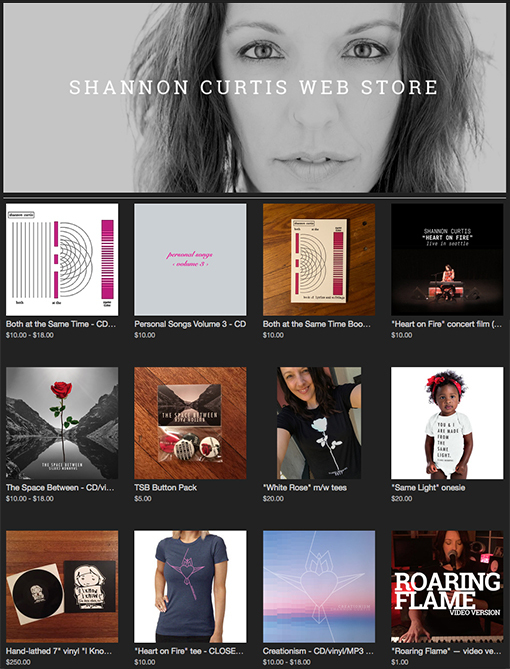 Visit our online store, pick any TWO albums (CD or MP3), pay for shipping, and they’re yours. FREE. Limit TWO albums per household. Offer ends tonight at 12 midnight. Once you pick your albums, you will have the opportunity to name your own price. If you want to put $0, they’re yours — on us. Totally free. But any amount above $0 that you choose to pay, we will donate in its entirety to the Fred Hutch Cancer Research Center’s fundraiser for Beth, adding it to the donation that Jamie & I personally pledged on Monday. Please join us in helping to fulfill Beth’s wish. Previous Post: It’s FREE T-SHIRT MONDAY! Next Post: It’s Free Swag Tuesday!